~KEY-FEATURES 3-fold shielding Conductors made of high-purity OFC copper Solid conductors 24c gold-plated contacts Silver-plated conductors ADDITIONAL PRODUCT DATA Ethernet Network (up to 100 Mbit) Audio Return Channel&n..
~The Reference LS-1002 consists of four wires in the CC-297 design. 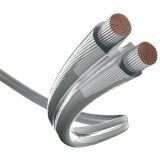 The conductors are arranged in double symmetry each with 37 concentrically stranded wires. The large cross-section ensures a wider base and depth. ~KEY-FEATURES Quatro CC-297 design; 4 x 2.97 mm² Double-symm..
~The LS-502 has two symmetrically arranged strands, each containing 37 concentrically stranded wires. 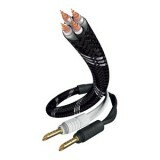 The thick wires demonstrate its class even when used with high-performance systems. 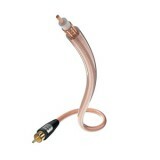 AUDIO (LS-502): “... the sound is so warm, just as you would expect from in-akustik reference – direct, honest,..
~The Premium audio cable is impressive with its high copper content for powerful sound. 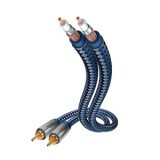 The double shielding protects against interference. The double mono structure ensures optimal channel separation and better electronic properties. 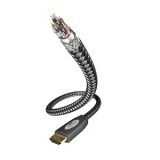 ~KEY-FEATURES Double shielding Solid met..
~This HDMI cable with Ethernet from the in-akustik Premium-series supports all HD audioformats and a resolution of up to 2160p (4k). The solid data lines are triple-shielded. 24c gold-plated contacts ensure an optimum digital transmission. 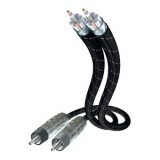 It is suitable for connecting digital AV components, such as..
~The Premium speaker cable Silver has a silver-plated conductor for optimised high frequency reproduction. 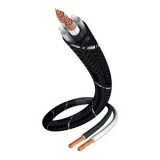 ~KEY-FEATURES High frequency range optimised, silver-plated concentric copper conductor (5 g/kg) Opposing S/Z stranding (easy to install) Resistant insulation &..
~The Reference NF-102 consists of solid, high-purity OFC copper which is covered with DUO-PE II insulation. 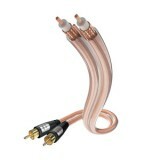 The PE tubes illed with air, an innovative GAP plug, the exact arrangement of all elements, in particular th very sophisticated centrally-located, solid signal conductor all ensure uniform tra..
~KEY-FEATURES 3-fold shielding Conductors made of high-purity OFC copper Silver-plated solid conductors 24c gold-plated contacts Solid metal plugs Extra large conductor diameters AWARDS ADDITIONAL PRODUCT DATA Ethern..
~The Star audio cable reduces sound loss with its dense shielding and thick inner conductor. The 24c gold-plated metal plugs preserve quality at the connections. 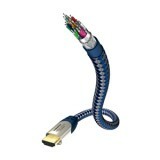 ~KEY-FEATURES Dense shielding 24c gold-plated contacts Conductors made of high-purity OFC copper ..
~The High Speed HDMI cable with Ethernet from the in-akustik Star-series supports all HD audioformats and a resolution of up to 2160p (4k). 24c gold-plated plugs for optimum contact. 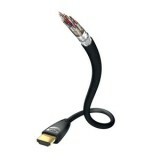 It is suitable for connecting digital AV components, such as DVD, Blu-ray players or game consoles with a plasma, LCD..
~The Star mono-subwoofer cable reduces sound loss with ist dense shielding and thick inner conductor. The 24c gold-plated metal plugs preserve quality at the connections. 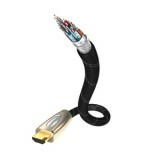 ~KEY-FEATURES Dense shielding 24c gold-plated contacts Conductors made of high-purity OFC copper ..